I just installed the Windows 10 Fall Creators Update in order to test this new feature in the Task Manager: the GPU monitoring. I tested with a GeForce and a Radeon GPU (I will update later with an Intel GPU). Each time, I quickly stressed the GPU with FurMark. 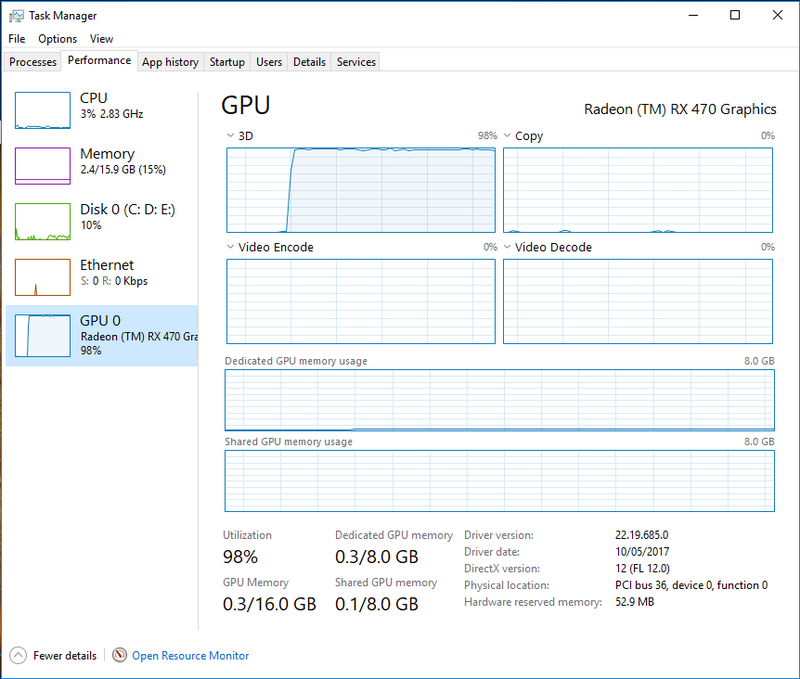 The GPU monitoring is not as detailed as GPU-Z or GPU Caps Viewer / GPU Shark (one important missing information is GPU temperature) but it gives important data such as GPU usage or memory usage. 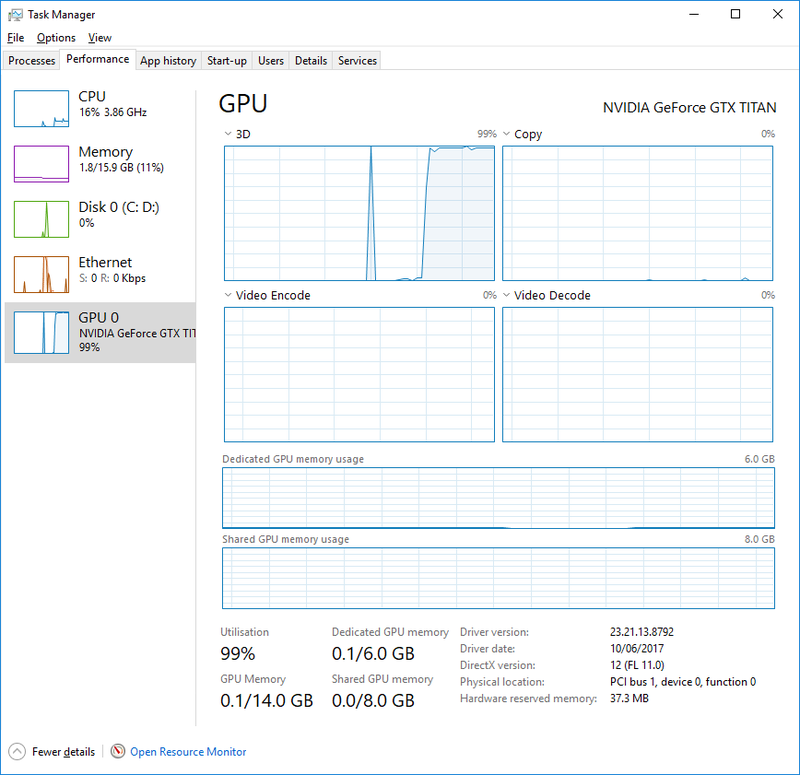 The GPU monitoring in Windows 10 is similar to GPU monitoring in Process Hacker (can be downloaded here) or Process Explorer. How can the Utilization be maxed out and the Dedicated GPU memory be so low? Could the card not draw on more dedicated memory? With a procedural pixel shader that generates a world using math only (see shadertoy demos for example).